A handful of Indigo Ag’s probiotic soy seeds. Indigo is now worth $3.5 billion, more than three times what it said it was worth when it last raised money a year ago, said a person with knowledge of the company. It has now raised more than $650 million. The company coats the seeds of corn, cotton, rice, soybeans, and wheat with symbiotic microbes that can help plants absorb nutrients and survive challenging conditions with fewer chemicals. Indigo says its products improve the yields of the crops by up to 14 percent. In an interview, president and chief executive David Perry attributed the strong interest in his company to the clamor for innovation in the agricultural industry, decades after the “green revolution” changed the way the world fed its growing population. Though years of industrial agriculture have increased the amount of food that can be grown, Perry argues that it has also divorced many plants from natural microbes that help them grow. By restoring those relationships, Indigo said, the company’s technology can further boost production even in situations where water is scarce. This year, the company has also been pushing an initiative to change the way grain is sold. Indigo has developed a marketplace that allows food manufacturers and other large crop buyers to purchase crops that meet higher quality standards than those set by commodities markets. 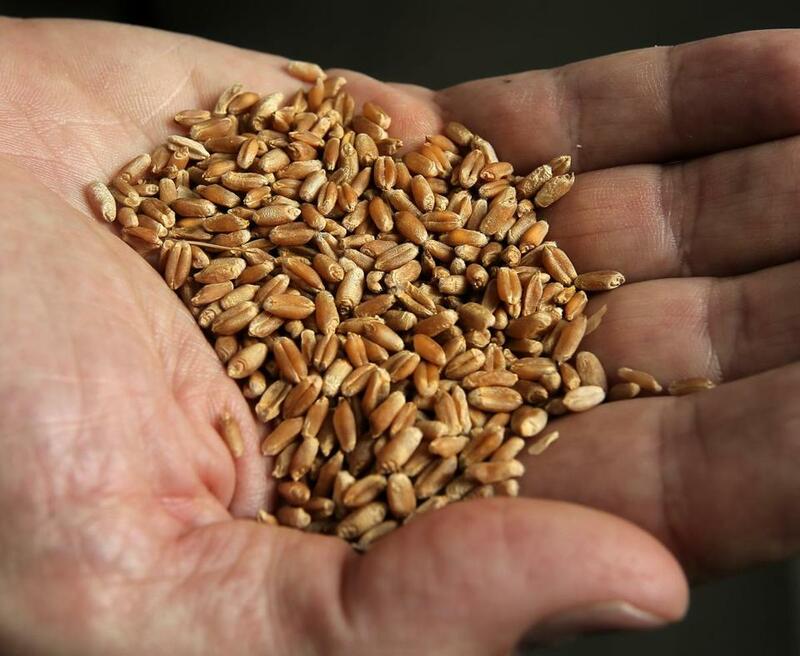 For instance, Indigo said a buyer could specify that he or she is looking for wheat that has been primarily supplied with rain water and has high protein content. Such a distinction would be difficult to achieve in a commodities market that uses much broader requirements for quality, and where shipments from multiple farms are often mixed together. Farmers can list products for sale even if they aren’t grown from Indigo seeds, though Perry said the marketplace is a crucial part of the company’s strategy because it gives Indigo a platform to sell what it believes are distinctive products. The marketplace opened to buyers and sellers in June, and thousands of farmers have signed up, Perry said. Buyers have submitted bids worth more than $2 billion, he said. The company was founded by the Cambridge biotech investment firm Flagship Pioneering in 2014. It says its crops are already growing on about 1 million acres across the United States. Indigo has sped the adoption of its technology by offering to buy the crops from growers at a premium over the market price of comparable crops. It then resells the harvests to buyers looking for natural or sustainable products.